Thank you to everyone who donated their time and energy to help us have a great event. 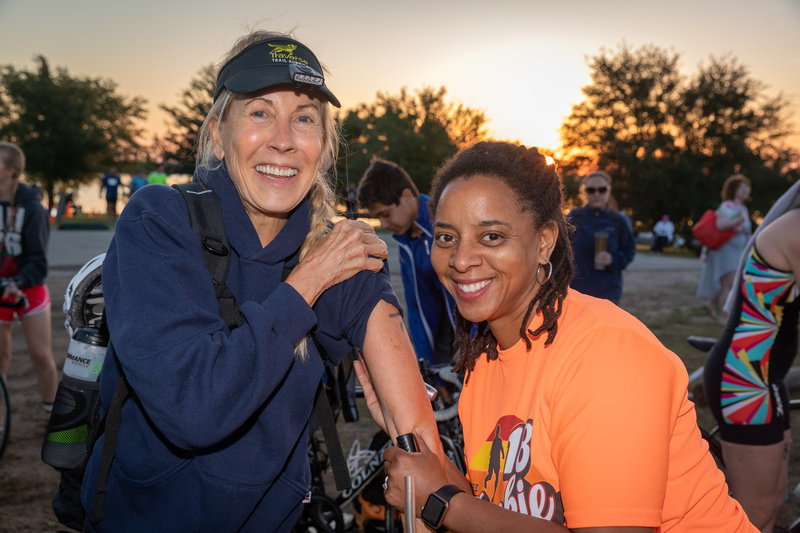 The 2018 Rookie Tri was a success and we couldn’t have done it without our awesome volunteers! Our 15th anniversary wouldn’t have gone as smoothly without you. You helped stuff packets and work packet pickup before race day. Early morning called and you parked cars, body marked triathletes, worked transition, and directed athletes on course. Once the final finisher crossed you assisted with breakdown. You were vital in leaving Walter E Long Metropolitan Park cleaner than when we found it. We loved getting to celebrate our volunteers with a fun and prize-filled dinner party at Brick Oven on Thursday night (5/10). It was a pleasure to chat with all of you while eating some delicious food. Enjoy the extra swag, car seat covers, socks, and foam rollers! Don’t forget, this is event #1 of the Texas Tri Series. Keep your streak going and volunteer at CapTex Tri! Training for a triathlon might feel a bit overwhelming, but you’re not alone and we’re here to help! Below you’ll find 4 ways to expand your training and make some friends along the way. 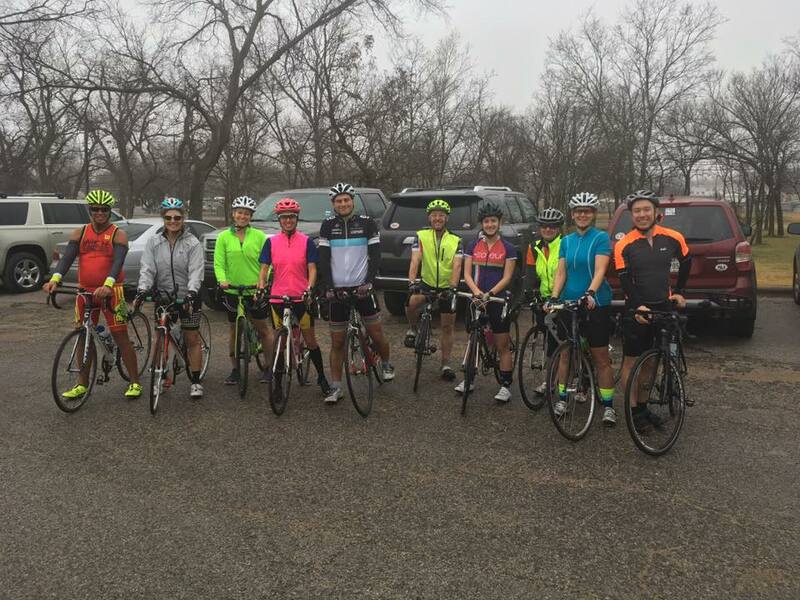 Austin Tri Club bike ride. 1. Join the Austin Tri Club! Austin Triathlon Club is an all-volunteer, member-run community of triathletes across the Austin area. Club dues are only $40/year. Yes, you read that right! Member benefits are plentiful and include new triathlete mentoring, club workouts, monthly happy hours, and a welcoming group that’ll help you achieve your goals! 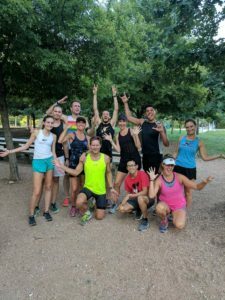 Austin Duathletes is a fun and FREE group with runs and bike rides throughout the year. They have a standing Monday Morning Run at 5:45 with 3 and 5-mile routes, as well as other special events. You can join them on March 24th for a bike ride on Walnut Creek Trail with 20 and 30-mile options. Wheels down from Tamale House on E. 6th Street at 8 a.m. Follow their Facebook page, just show up, or email the Duathlete leader, Panther, to get more involved. 3. Join The Rookie Tri Facebook Group! 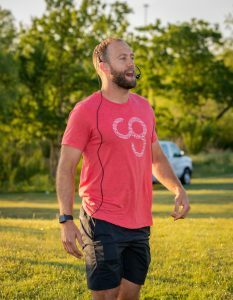 This group is a place for Rookie Participants, Veterans, and those who are just interested in triathlon, to share support, advice, training adventures, and friendship. Join the group to share your stories, pictures, and wisdom! 4. Join Bicycle World on March 24-25th with their beginner triathlon training weekend. The weekend will include bike and run workouts as well as workshops. Workshops include How to prepare and what to expect on race day for your First Triathlon, General Tips for each swim, bike and run, and basic maintenance of gear. There will also be an in-store guide to gear selection where you can see what you might be missing in your triathlon gear as well as an open Q&A session. While triathlon is seen as an individual sport you do not have to train alone. There are groups to join that are both online and in town. Happy Training!